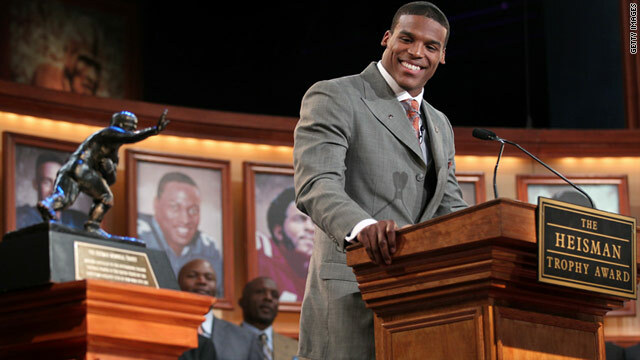 Auburn quarterback Cam Newton won the 2010 Heisman Trophy on Saturday night, his on-field heroics enough to overcome off-the-field questions about his role in a purported pay-for-play scheme. Newton bested a field that included Oregon running back LaMichael James, Stanford quarterback Andrew Luck, and Boise State quarterback Kellen Moore. The award, given in New York City, is voted on by hundreds of media members and past winners. The junior from College Park, Georgia, leads Auburn, the nation's top-ranked team. The Tigers will play likewise undefeated Oregon on Jan. 10 in the Bowl Championship Series title game for what amounts to a national championship. Newton has thrown for 28 touchdowns and run for another 20 scores this season, helping the Tigers win the Southeastern Conference Championship. His performance came despite his being dogged all fall by allegations that his services were being shopped around before he landed at Auburn. Bacteria scooped from the wreckage of the Titanic almost 20 years ago have been confirmed as a new species in the December issue of a microbiology journal. While new scientific discoveries are usually heralded as joyous news, this discovery is bittersweet. The bacteria, found on the ship's "rusticles" (rust formations that look like icicles), are eating the Titanic. The strain, dubbed Halomonas titanicae, was initially designated BH1T in honor of the researchers who discovered it, then-graduate student Bhavleen Kaur and Dr. Henrietta Mann at Dalhousie University in Halifax, Canada. The researchers tested the bacteria to see whether it was "good bacteria" or "bad bacteria," according to the school's website. Let's just say the bug has an appetite for destruction. "The BH1 cells stuck to the surface of these [small metal tags] and eventually destroyed the metal. So we knew we had a bad bacteria,” Mann is quoted as saying on the Dalhousie University website. "In 1995, I was predicting that Titanic had another 30 years," said Mann, who still works at the university, according to CBS News. "But I think it's deteriorating much faster than that now ... Eventually there will be nothing left but a rust stain," she is quoted as saying. The metal-eating bug presents a dilemma for scientists. "Letting it proceed with its deterioration is also a learning process," said Kaur, who now works with the Ontario Science Centre, according to National Geographic. "If we stop and preserve it, then we stop the process of degradation," Kaur is quoted as saying. The findings were published in the December 8 issue of the International Journal of Systematic and Evolutionary Microbiology. 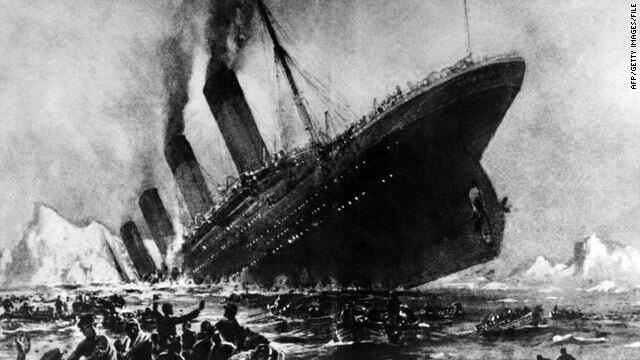 The Titanic, heralded in its day as the largest passenger ship in the world, sank on its maiden voyage in 1912, killing more than 1,500 people. The wreckage was found in 1985 by an expedition team more than 2 miles deep in the Atlantic Ocean. 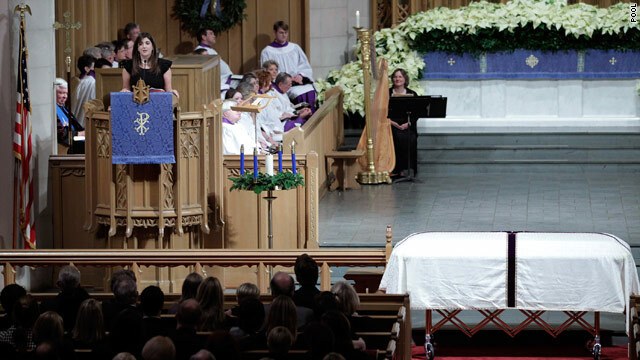 More than 1,200 mourners, including hundreds who loved and admired Elizabeth Edwards from a distance, packed a Raleigh church Saturday to pay respects to the activist and estranged wife of a failed aspirant to the presidency. The mourners included Massachusetts Sen. John Kerry, who in 2004 picked Edwards' husband, John, to be his vice presidential running mate in an unsuccessful bid for the White House. John and Elizabeth Edwards separated earlier this year after the former North Carolina senator admitted to fathering a child out of wedlock while the couple was married. John Edwards entered the church just prior to the start of the 1 p.m. service, holding hands with the Edwards' three children, Jack, Emma and Cate. The funeral opened with a eulogy from Elizabeth Edwards' longtime friend Hargrave McElroy, who made the audience laugh with tales of Elizabeth's competitive nature, particularly with games. She also noted Edwards' love of Christmas, describing how the Edwards family, including John Edwards, decorated their Christmas tree last Saturday, just three days before she died after a long battle with breast cancer at the age of 61. 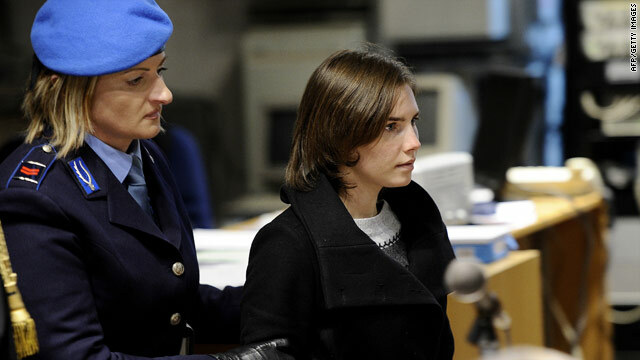 Former American student Amanda Knox gave an emotional plea Saturday while appealing her conviction in the murder of her British roommate in Italy. Knox spoke for about 15 minutes and broke down in tears. She said that she and her former Italian boyfriend, Raffaele Sollecito, are innocent and unjustly accused. "I've been condemned for the crime I did not commit," Knox said. Knox also added that court has made "a huge mistake." "I don't know how to face the time ahead," she said. Filed under: Crime • Italy • Justice • U.S.
Mark Madoff, the son of convicted Ponzi-schemer Bernard Madoff, apparently killed himself while his wife was out of town and his 2-year-old son was asleep in a nearby bedroom, New York police officials said Saturday. 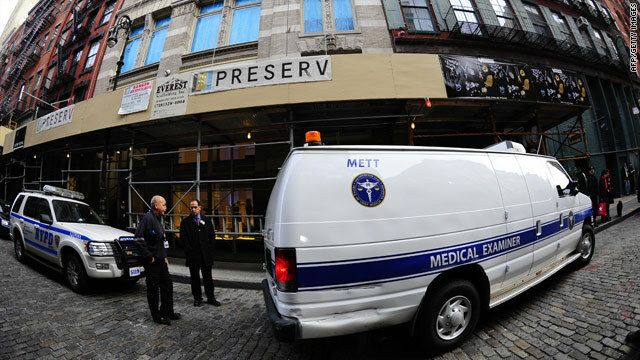 Deputy New York Police Commissioner Paul Browne said Madoff's father-in-law discovered the body around 7:30 a.m. Saturday and his grandson sleeping in another room. Madoff was fully clothed and hanging from a ceiling pipe with a dog leash around his neck. The boy was unharmed. Prior to his death, Madoff e-mailed his wife in Florida with "words to the effect that someone should check on his son," Browne said. It is not known whether Madoff left a suicide note, he said. Mark Madoff, the son of Ponzi schemer Bernard Madoff who was found dead in his apartment Saturday in New York, was facing a number of challenges. 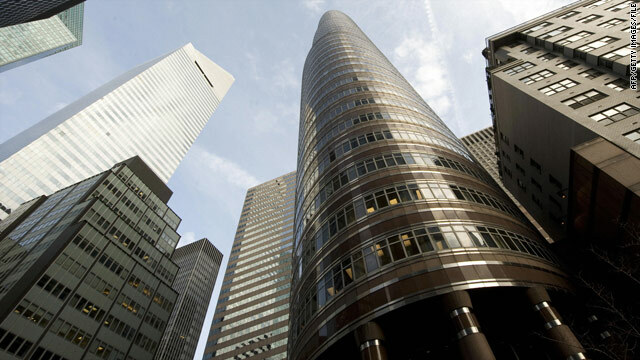 Mark Madoff worked as a broker at his father's firm. Trustee Irving H. Picard and investors have filed numerous lawsuits against Madoff, his brother Andy, and others associated with the firm. A federal criminal investigation is ongoing. 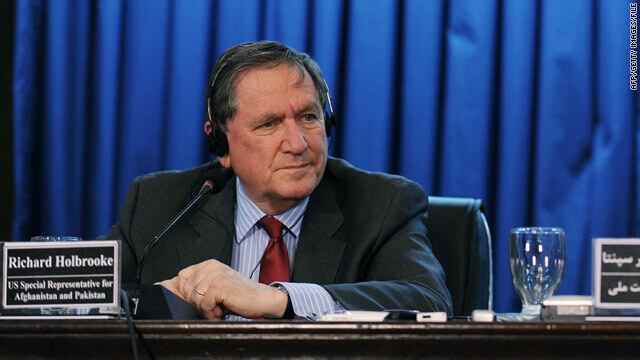 U.S. diplomat Richard Holbrooke was in critical condition at George Washington University Hospital in Washington on Saturday after undergoing surgery to repair a tear in his aorta, a State Department spokesman said. Holbrooke, the Obama administration's special representative for Pakistan and Afghanistan, fell ill Friday morning during a meeting with Secretary of State Hillary Clinton and walked down to the department's medical unit, a senior State Department official said. He was taken by ambulance to the hospital, the official said. After doctors completed surgery on his aorta Saturday morning, Holbrooke was joined by his family, State Department spokesman P.J. Crowley said. Holbrooke is a career diplomat best known for brokering the peace agreement between Bosnian factions in 1995 that became the Dayton accords. Filed under: Afghanistan • Bosnia • Pakistan • Richard Holbrooke • State Department • U.S. Rioting broke out in Russia's two largest cities Saturday as soccer fans protested the death of a man in ethnically charged clashes earlier in the week. Yegor Sviridov, 28, was killed during a huge brawl in northern Moscow between football fans and migrants from the North Caucasus region. A suspect is in custody, RIA Novosti reported. Thousands of fans - commonly called "football hooligans" in the Russian media - turned out for a memorial Saturday at Moscow's Red Square. Violence and fires soon erupted again, and hundreds of riot police used shields, truncheons and gas to try to disperse the crowd. Video on the Russia 24 network showed helmeted police clubbing protesters and dragging them away. 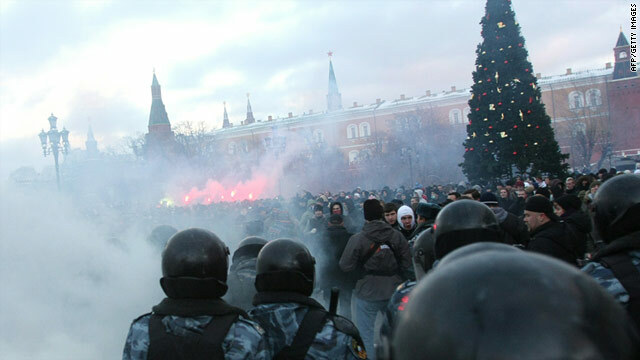 Similar clashes broke out in St. Petersburg, RIA Novosti reported. Nationalists and members of the outlawed National Bolshevik Party were reportedly involved, but media said most of those present are "ordinary fans," according to the news agency. A police spokesperson denied that any serious incidents had occurred in St. Petersburg. Democratic New York Congressman Gary Ackerman talks to "American Morning" about why he’s taking on President Obama’s tax deal.